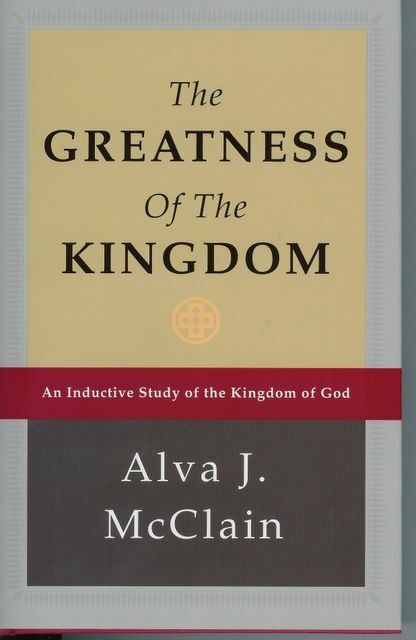 The Greatness of the Kingdom, Dr. Alva J. McClain’s penetrating analysis of the Kingdom of God as taught in both the Old and New Testaments, has just been republished in a handsome hardback, dust jacket edition by BMH Books of Winona Lake, IN. The 556-page masterwork, which retails for $24.99, is available online through www.bmhbooks.com or by calling 1-800-348-2756. Dr. McClain, who was the founding president of Grace Theological Seminary, was a member of the Scofield Reference Bible Revision Committee and a charter member of the Evangelical Theological Society. The newly-republished McClain book is the first in a series of new books and updated reprints that will be forthcoming from the revitalized BMH Books, a division of the Brethren Missionary Herald Co. Inquiries may be e-mailed to BMH Books division manager John Leonard at mailorderjohn@earthlink.net.